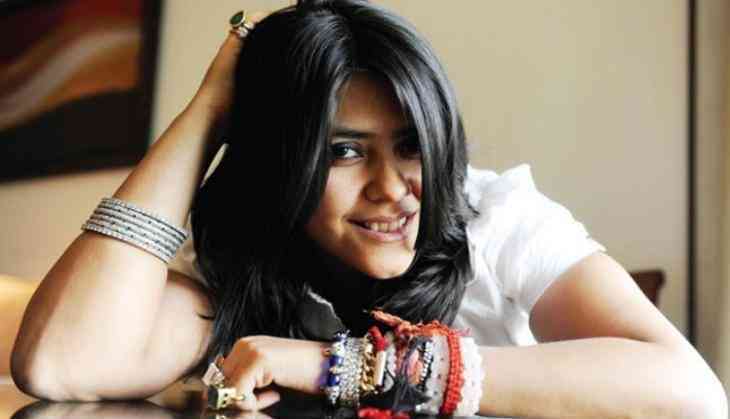 TV producer Ekta Kapoor and actress Konkona Sensharma on 27 June said that a necessity like sanitary pads should not be taxed under the GST. There is a raging debate about making sanitary napkins tax free, which are set to be taxed at 12 per cent under the GST (Goods and Services Tax). When asked about it, Ekta said, "Honestly, I am not that well read about what is being taxed and how much, but have definitely heard a lot on this issue. Personally, I think the necessity of a woman cannot be taxed. Be it a choice, a need or a desire. "We have to stop using words like 'that time of the month' or other things. Say it, I have my periods. There is nothing to be shy or embarrassed about." Ekta was speaking at the trailer launch of "Lipstick Under My Burkha", here today. The film stars Konkona, Ratna Pathak Shah among others. Konkona said adults should not be embarrassed talking about sanitary pads and wonders what is so amusing about that. "If you don't have any control over your bodily function, how can it be considered to be taxed under luxury goods. It's not like you'll voluntarily say 'I won't put out my AC tonight'. It's not the same thing," Konkona said. "I don't know why adults are laughing when such an important question is being raised. We talk about toothbrush, toilet paper, toothpaste but the moment sanitary napkin comes, we all go 'haw sanitary' like we are in school." Ratna said the overall conditioning needs to change and Indian should stop behaving like "ostriches". It's time for us to stop behaving like ostriches, get our heads out of the sand and look at the world." The film also features Aahana Kumra and Plabita Borthakur. The film was briefly stuck at the censors as the board initially objected to its "lady-oriented" content. The film, which was later cleared by Film Certification Appellate Tribunal (FCAT) with minor cuts, is now scheduled to release on July 21.